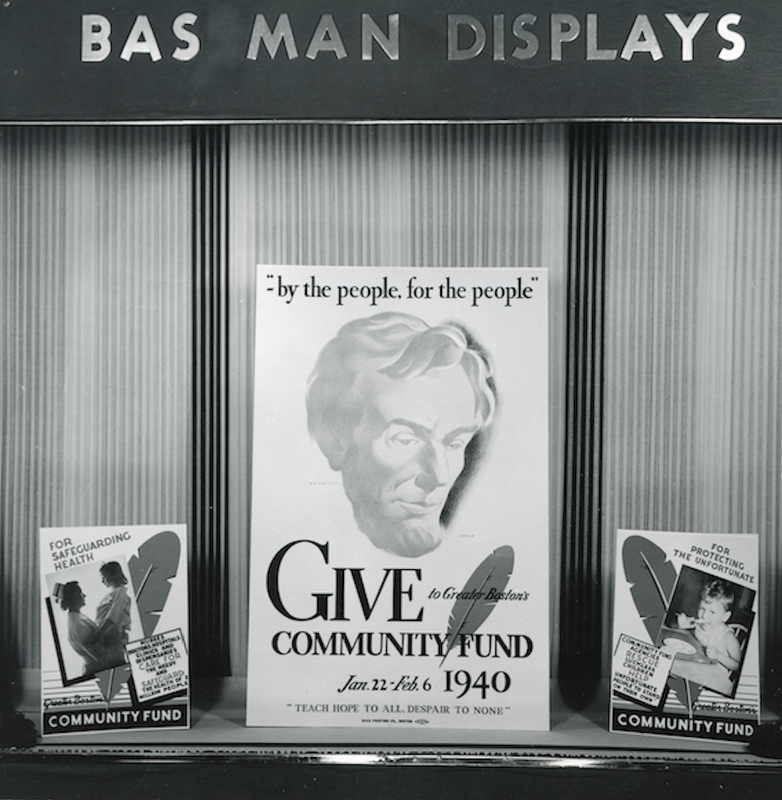 Founded by Albert Basse Sr. in 1928, Albert Basse Associates began its operation as a window display decorating company, dressing windows and storefronts along the east coast. 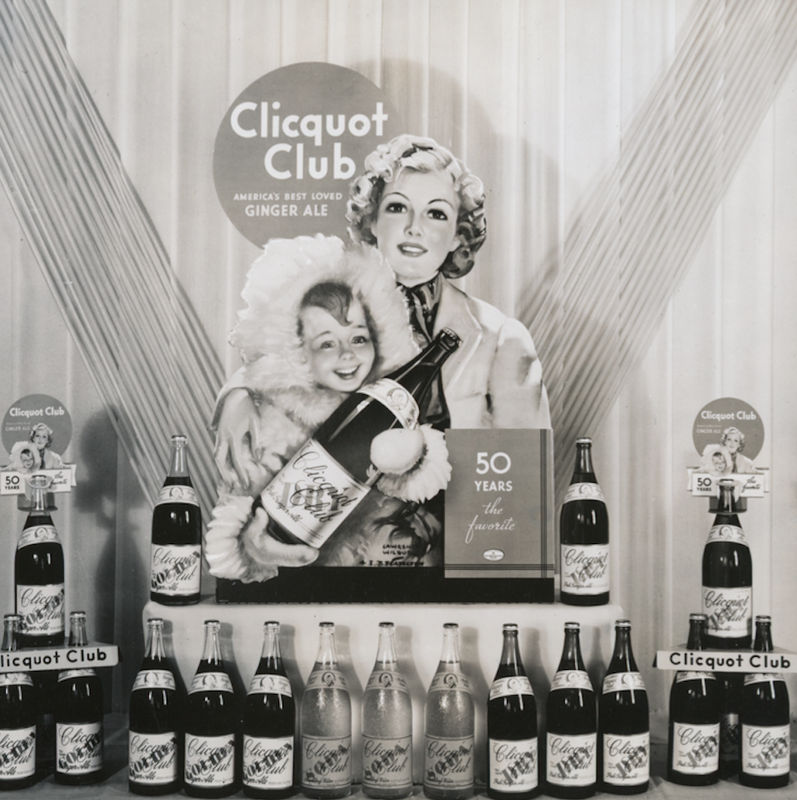 The business soon evolved to include printing and display advertising for grocery stores, department stores, and some of the major brand merchandisers of the times. Mr. Basse is recognized as a pioneer in the industry. He was involved with printing groups both locally and nationally and was a Past President of the National Screen Printing Association (now SGIA). He steadily grew the business into one of the nations’ top display, printing, and fulfillment companies through the 1930s, 40s, and 50s. In 1962, just back from Korea, Al Basse, Jr., a Brown University grad, took the helm from his Dad. He carried on his Dad’s legacy and modernized the plant with a 10,000-square-foot addition in 1972. He worked with many of New England’s major advertising agencies developing sign and graphic display solutions and tirelessly grew the business until his untimely passing at the young age of 41. 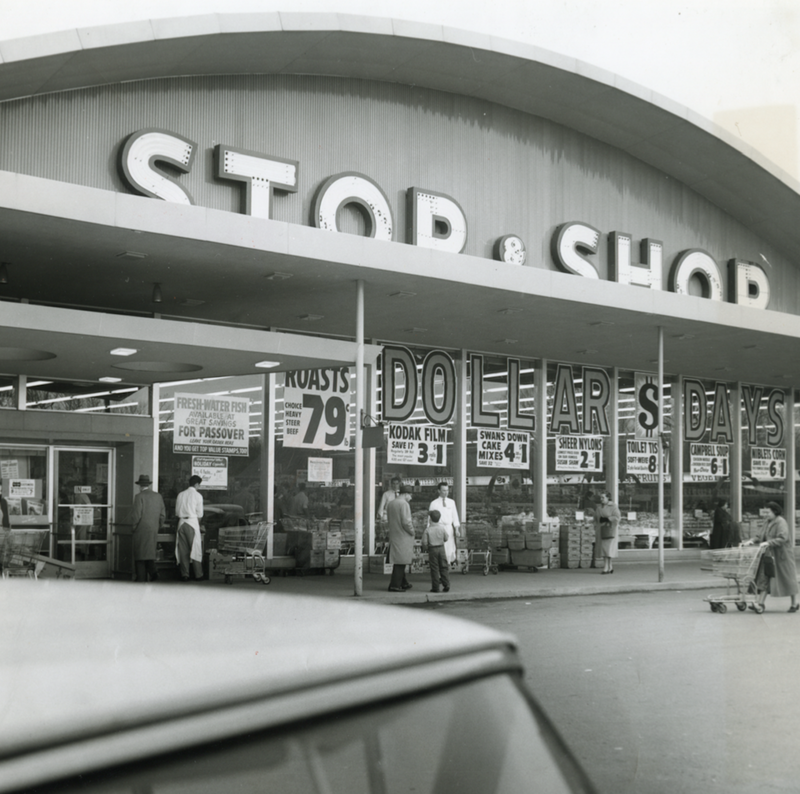 In 1976, after Al, Jr. passed, his wife Ellen was faced with the challenge to continue the business or sell. No stranger to hard work, and without hesitation, Ellen rolled up her sleeves and joined the senior management team as CEO. With four children at home, and one in college, and buttressed by the support of Alan Grant as President, and then VP of Sales Paul Manning, Jr., Ellen brought the company through the difficult transition. Her guidance, perseverance, and general business wisdom helped lead the company and started ABA on its next 40 years of growth and success. In 1983, Ellen’s new husband, Tom Dietz joined the company as President and helped to once again lead us to a level of prominence in the Industry. Tom served on the Board of Directors of SGIA, and was also recognized for his service to the industry. 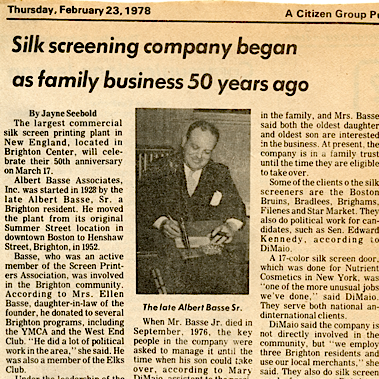 Continuing in the tradition of a true “family” business, Ellen was joined by her daughter Debbie for a period of time, and then by her sons, Albert “Chip” Basse, III and Edwin E. Basse. In 1997, the company transitioned into its third generation under the direction of Albert “Chip” Basse, III. Chip’s involvement with the company goes back to the early days of working summers with his Dad. He began full time with the company after graduating with a business degree from Rollins College in 1984 and has been involved in every phase of the business since. In 1993, Ed Basse came on board and now serves as Vice President of Sales and Marketing. A Colorado State University graduate, Ed applies his many skills to develop strong customer relationships and ensure that they receive the quality and service they deserve. In the fall of 2001, the company expanded their capabilities and became the first screen printer in New England to install a 65”x 84”- 5-color inline screen printing press. Since then, ABA has continued in the development of the industry and has embraced the digital revolution. In 2010 the firm expanded its capabilities with large format flatbed inkjet printing, roll-to-roll inkjet processing and digital die cutting. In the fall of 2015, Ellen left us all too soon, but she left us all with an enormous legacy of “stepping up” when it counts. Today, the 3rd generation of Basses is ably charged with continuing the company’s eight-decade heritage of quality, customer commitment and satisfaction. Today, under Chip’s leadership and Ed's sharp customer service and marketing skills, the company continues to be a leader in the industry.